The New Bilibid Prisons (NBP) chaplain, Msgr. Roberto Olaguer, has left his post as the Bureau of Corrections (BuCor) spokesperson following his controversial statements last week. In an announcement on Saturday, Olaguer said he could not take back his words because they are true so instead, he opted to resign, GMA News Online reported. "Nag-resign na ako as spokesperson ng Bureau of Corrections since Monday, may nabitawan akong salita noong last week na totoo naman na nakakasira raw sa image ng bureau o ng staff," he said in a radio interview. Last week, the chaplain revealed that inmates were complaining about the stricter implementation of prison rules. Olaguer also revealed the alleged maltreatment of inmates by members of the Special Action Forces (SAF). 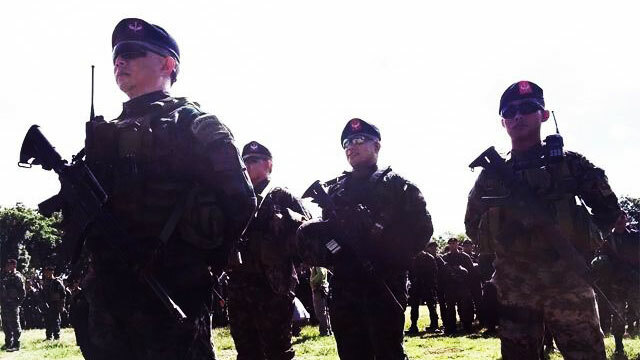 The SAF troopers have recently taken over the Bilibid, including the maximum compound facility as part of the Duterte administration's move to increase security and end the illegal activities there. The original prison employees have undergone retraining at Camp Vicente Lim in Laguna, while the SAF man the national penitentiary.